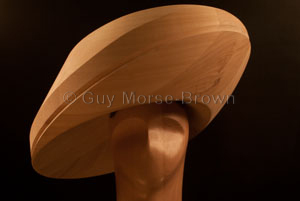 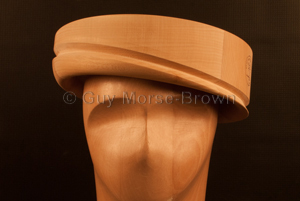 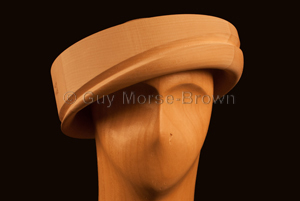 A side sweep cloche style brim block Pictured below with optional brim legs which allow the hat to be blocked in one with a crown such as CB7. 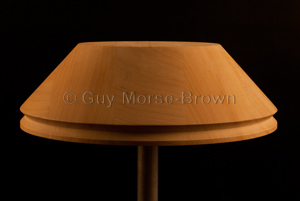 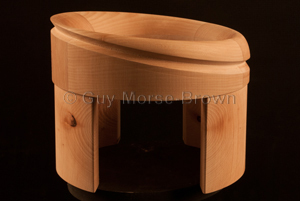 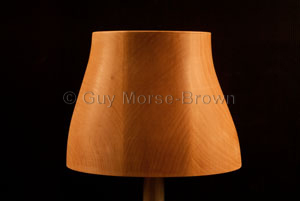 Please note that this block has a circular head hole so a circular crown must be used with it. 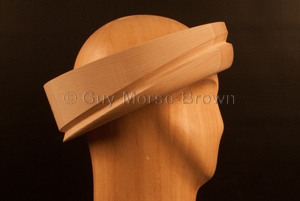 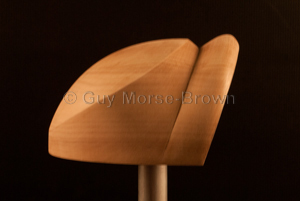 Where a crown is not restricted by a wide brim, it will naturally shape to the wearers head and in the process gives a nice shape to the crown which otherwise would require a more complex block.